The inclusion of power windows in modern cars is so prevalent that most of us don’t ever think about them. But the reality is that power windows are one of the most successful additions to the car ever. Just press a button to make your window go up or down. It could not be any simpler, and perhaps that’s why they’ve become an omnipresent feature in today’s cars. But there are many older cars that are not equipped with this feature, and even a few that were made recently that are still operated by hand cranks (though most car companies have stopped producing them entirely). For people who love their car, but don’t want to use the hand crank, whether because of placement, effort, joint pain, or just because they’re tired of it, power window kits are a great investment. Power window kits are relatively inexpensive, usually running about $150 (although some more advanced models can cost up to $300). The idea is fairly straight-forward, though the process is not without its headaches. If you can do it yourself, the $150 you’ll likely have to pay for a good power window kit will probably be well worth it to you, but if you have to take it to a car shop, the labor prices can sometimes be as much as the kit itself. Because of that, it’s worth noting that it can be fairly difficult to install a power window kit for many cars. If you do not have a good knowledge of the workings of car doors, it will be well worth your while to take the time to find a power window kit that is either specifically designed for your car, or else made for easy installation. Be wary of buying them from third-party vendors or individuals, as it will be necessary for you to receive a very good instruction booklet. The best way to do this is, after finding a model that works for your vehicle, see if you can find some customer reports on the products, so that you can see for yourself what possible problems come with that particular model. When shopping for a power window kit, it’s also important to note that the feature set it comes with is much less important that its compatibility with your car. It is much better to have one power window that works than seven power window controls with child locks and universal driver control that don’t work at all. 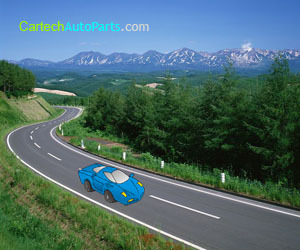 If you can’t find one specifically made for your car, then you’ll have to have enough car knowledge to get inside your doors to run wire through them and attach the needed gears. The difficulty of this likely depends on how new and/or popular your car model is. An old, obscure car might have abnormal means with which you would need to get inside the door, in which case, you might need much more than a regular set of home tools to install the kit. If that is the case, it could still be worth it to have somebody else do the process. If you know somebody with knowledge in the area, don’t be afraid to ask questions as where or how you might get it done. Talk to a professional mechanic about the process of ordering power windows. It might even be cheaper, and certainly easier for you to get a mechanic to install power windows himself. The power windows are a matter of convenience, so it might not be worth the hours of effort and shopping you’d need to install power windows by yourself. The important thing to remember with power window kits is that you do have the option to install power windows yourself if you so choose.